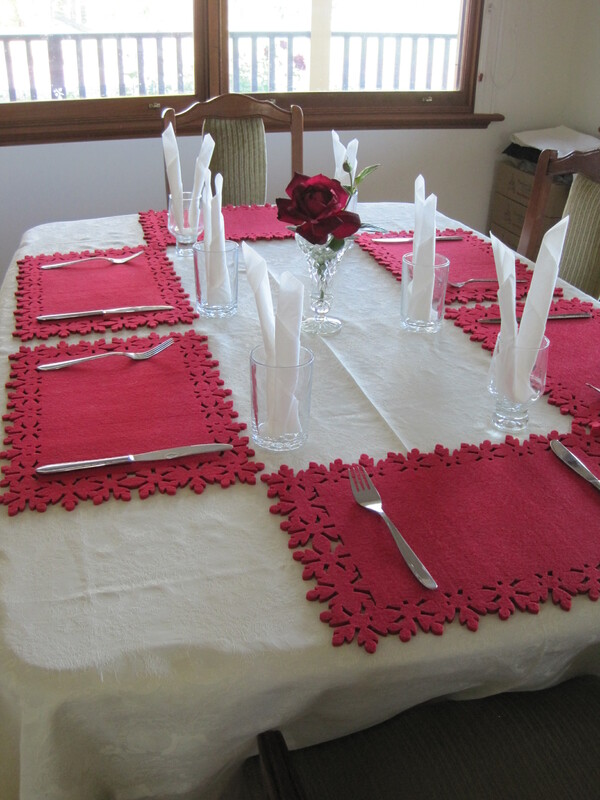 Last night, I prepared a table for some of my dear friends. 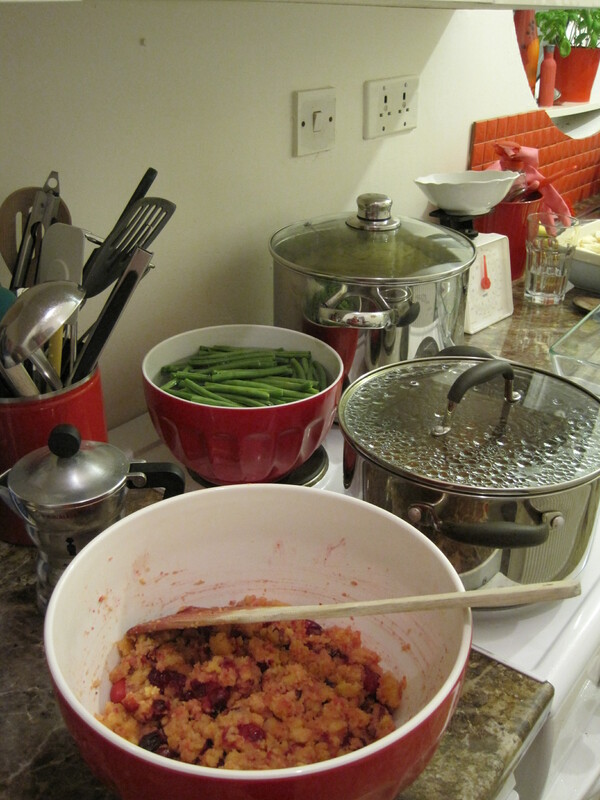 I also prepared some food…in case you were wondering if the small bowl of cranberry sauce (in the picture above) was all that was to be shared among my guests. I went with Nigella Lawson’s Feast cookbook for inspiration and instruction, preparing a turkey with accompaniments. Big preparations in my little kitchen. The food was delicious (thank you, Nigella). The friendship was even more so (thank you, Lord). 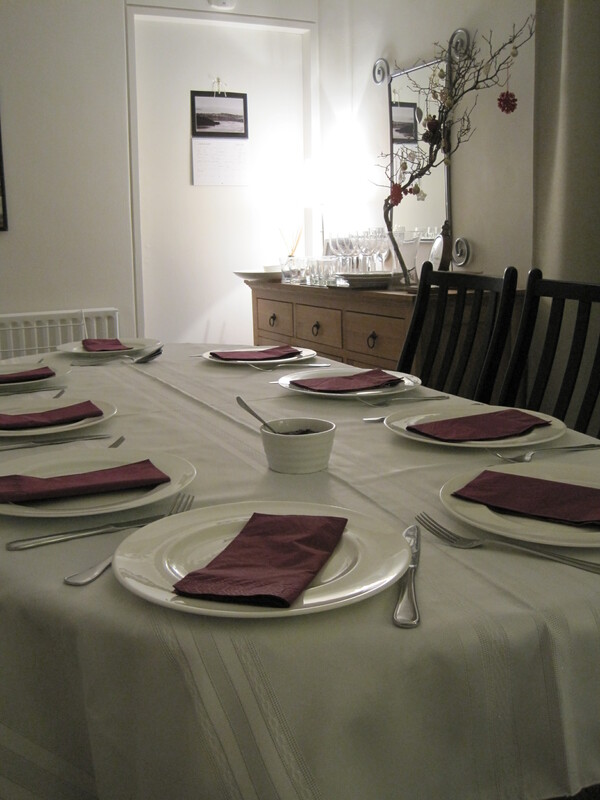 Before we tucked into the food set before us I took a short moment to recognise and thank the friends around the table for their patience and love for me over what had been a challenging year. They weren’t the only friends who had loved patiently – but they were the ones who could come that night, and reasonably fit around the table! “You crown the year with your goodness. For all this year’s ups and downs, the Lord has been so good to me. The friends he has given me have been a big part of that goodness. This time a week ago (Stephen’s Day or Boxing Day) I was with some more friends – more gifts of God’s goodness. We shared a peaceful meal of leftovers at one of their homes, with a starter of Marcella’s ‘Swiss Chard Torta with Raisins and Pinenuts’. Delicious (and more-ish) food (and company). Now, on the first day of 2015, I sit alone, but content, having eaten a gorgeous leftover turkey sandwich. I feel very ready for this new year – more ready than I’ve ever felt in past years. I look forward to seeing how the Lord crowns this coming year. 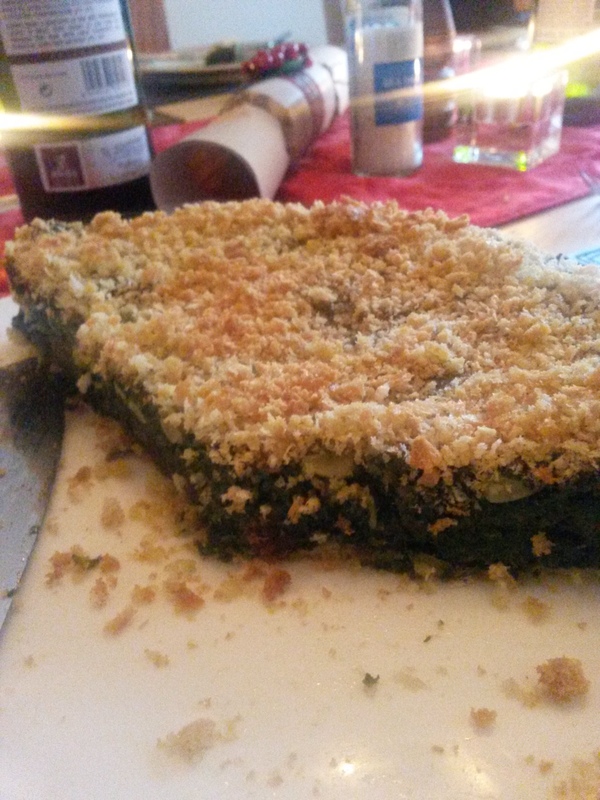 On St. Stephen’s Day: #93 ‘Swiss Chard Torta with Raisins and Pinenuts’ with Anne, Ian and Stephanie at a friend’s table. The night before the night before the New Year: #94 ‘Pork Sausages with Red Wine and Porcini Mushrooms’ with Barbara and the Violinist at my table.